This month Our Actuaries Around the World series visits Greece. 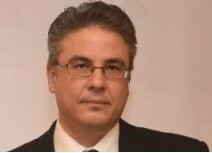 Ioannis Chatzivasiloglouis the Head of Regulatory Framework and Supervisory Technical Assistance in the Department of Insurance Supervision of the Bank of Greece. Prior to his current role, he served the Greek insurance supervisory authority in several positions of responsibility, related to the financial and actuarial supervision of insurance undertakings. Before joining the insurance supervision department in 2007, he worked for eight years at an actuarial consulting firm. He is an Associate of the Society of Actuaries (ASA), a Chartered Enterprise Risk Analyst (CERA), a Fellow of the Greek Actuarial Society (FHAS), and a Member of the American Academy of Actuaries (ΜΑΑΑ). He holds a BSc in Mathematics from the University of Athens and an MSc in Financial Engineering from the Athens University of Economics and Business. ACTEX Learning (AL): How many practicing actuaries do you have in Greece? Ioannis Chatzivasiloglou (IC): In Greece, there are more than 200 practicing actuaries, with 113 of them already designated as Fellows of the Hellenic Actuarial Society. (IC): The Greek for actuary is “αναλογιστής” pronounced analogistis. (IC): Actuarial science was first introduced in Greece after World War II in the form of insurance mathematics courses in the, then called “Athens School of Commercial Studies”. The Hellenic Association of Actuaries was established in 1979 and consisted of 20 initial members. (IC): It is the only profession that applies mathematics, probability and statistics to business decisions in such an extensive way. (IC): The advent of Solvency II was definitely one development that affects and will continue to affect the opportunities of actuaries in Greece. Opportunities are going to emerge also for actuaries in the field of customer protection due to the increased requirements of transparency towards customers with regards to insurance-based investment products. (IC): The main employers for actuaries are, traditionally, the insurance companies. Nevertheless, during the last decade, we saw consulting companies increase their presence in actuarial consulting, and as a result increase their position as employers of actuaries. There has also been increased employment of actuaries by the supervisory authorities in the insurance and the occupational pensions sectors. (IC): In order to qualify as an actuary in Greece, you need to pass the exams organized every six months by the Hellenic Actuarial Society. The six first exams are related to the foundations of actuarial science and upon passing them, one is designated as an Associate. After this, the candidate needs to choose two practice areas and pass the relevant exams that focus on the implementation aspects of actuarial practice. The available practice areas are pensions and social security, life insurance, non-life insurance and health insurance. After concluding a total of eight, one is designated as a Fellow of the Hellenic Actuarial Society. In order for the candidates to be better prepared for the exams, the Hellenic Actuarial Society offers a series of seminar that are related to these exams. (AL): Do employers support the cost and time of exam preparation? (IC): Yes, they normally do this, as they understand the added value the actuaries bring to their company. (AL): Is there a uniquely actuarial perspective on the Greek economic crisis in recent years? (IC): One reality is that the economic crisis in Greece has made capital a scarce resource that insurance companies must compete for. Actuaries are well prepared to assist them to become more capital-focused, e.g. by improving their capital management practices, their capital allocation processes and by linking their pricing methodologies with their risk capital. Learn more about the Hellenic Actuarial Society.